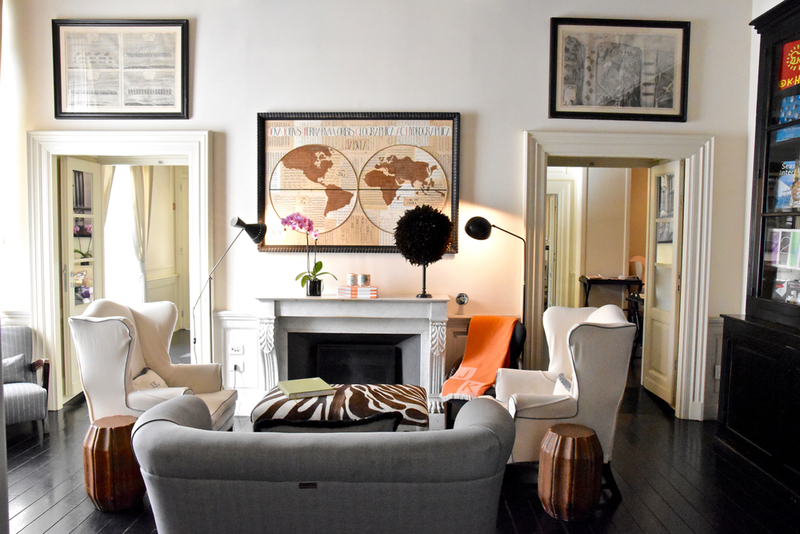 Hidden behind majestic wooden doors, J.K. Place Firenze is discreet townhouse housing an ultra-chic boutique hotel located in the Piazza Santa Maria Novella. 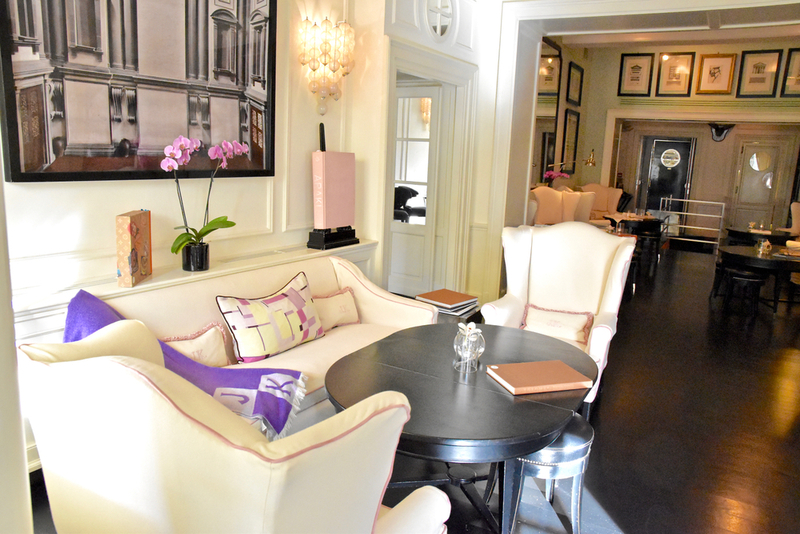 More like an elegant home away from home than a hotel, J.K. Place Firenze is the height of sophistication, with staff that understand the true meaning of luxury. From the moment you arrive, the experience is seamless. Your bags are whisked away and you are invited to sit on the terrace and enjoy a coffee while the staff handle the check in process. The staff have an almost psychic ability to know what you want and ensure you are provided with it before you have to ask. When it comes to feeling completely at ease, little touches, like never being asked for your room number at breakfast, or to sign a bill after a meal, or being charged for a coffee, mean a lot. 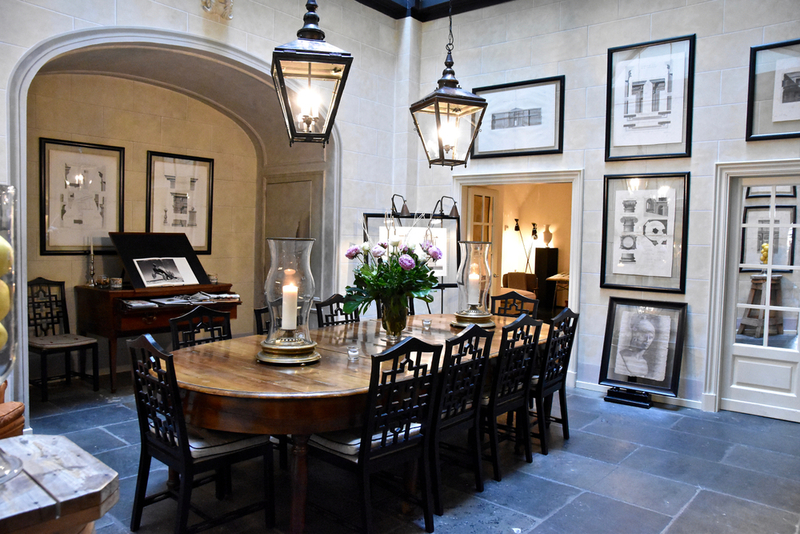 The interior design is wonderful, uniting traditional architecture with modernist luxury. The fireplaces, antiques and collectables make this "home" feel truly lived in. We thoroughly enjoyed staying in the Duplex Junior Suite. Located on the top floor, the Junior Suite sits over two levels and boasts breathtaking views of the beautiful Santa Maria Novella square. The lower level features a charming studio and sitting area. On the upper level the bedroom boasts a large double bed draped in cashmere, closet, marble bathroom with walk-in shower and mini-bar (complimentary, of course). 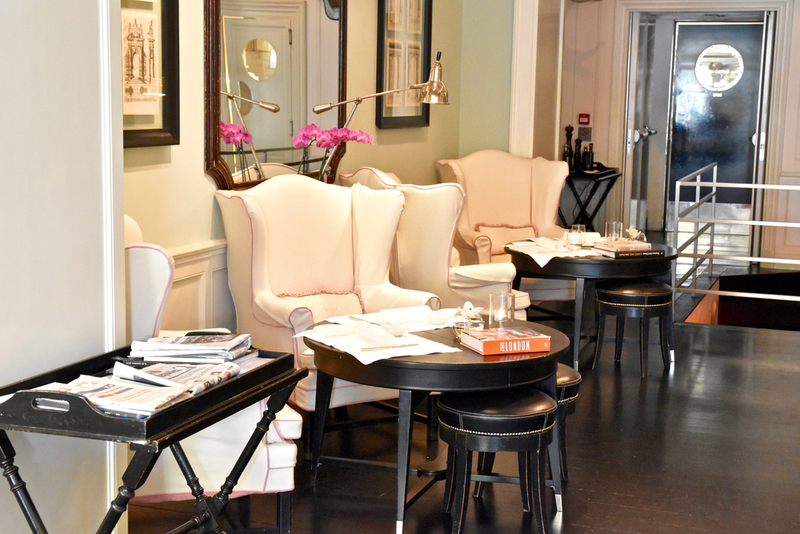 In every room there is a handy little guidebook, written by General Manager Claudio Meli, filled to the brim with insider tips on eating, shopping and sightseeing in Florence. 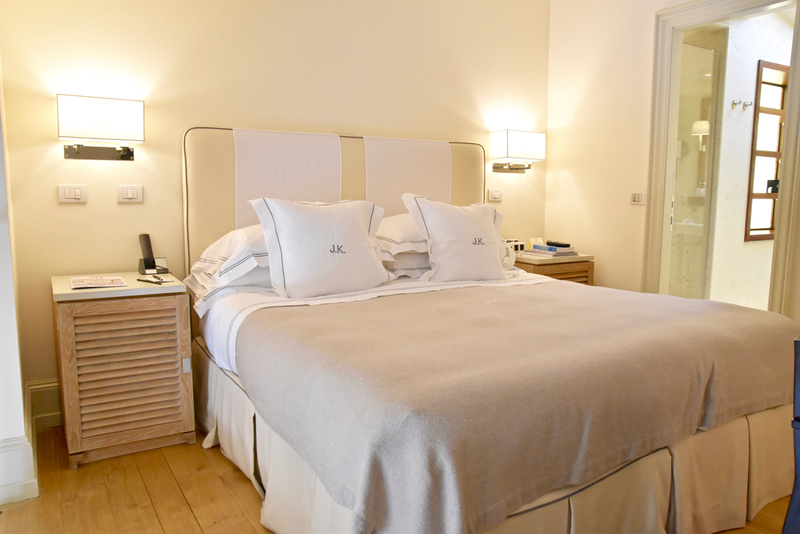 With impeccable service, a stunning location in Piazza Santa Maria Novella and luxuriously appointed rooms and suites, J.K Place Firenze is truly one of the world's finest hotels. 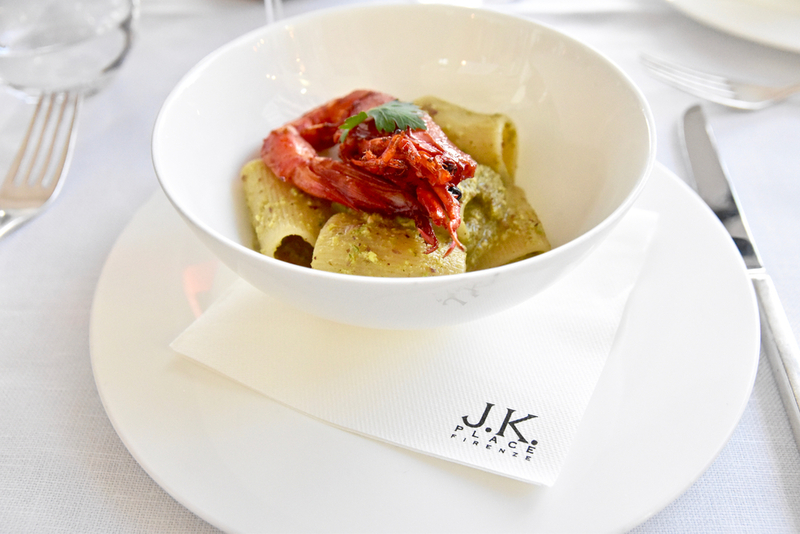 When staying at J.K Pace, dining on Tuscan and Italian specialties at J.K. 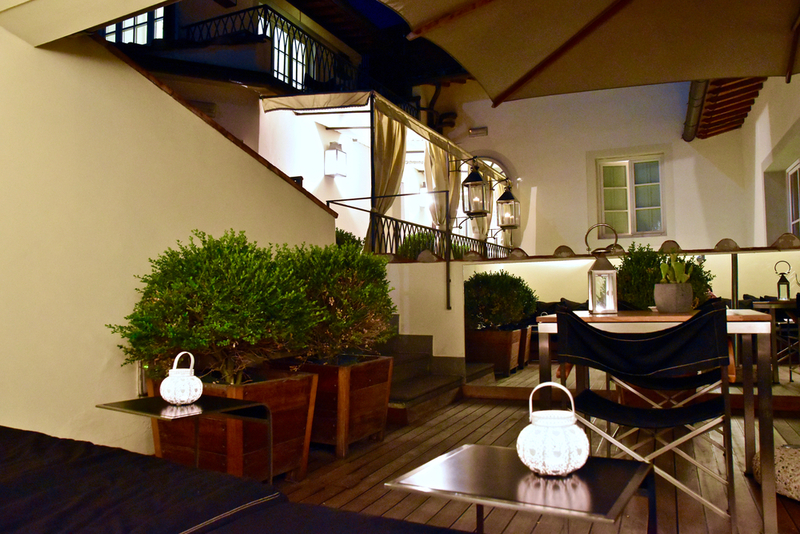 Lounge in Piazza Santa Maria Novella is a must. J.K. Lounge is an elegant club which has seating both inside and in the outdoor terrace. J.K. 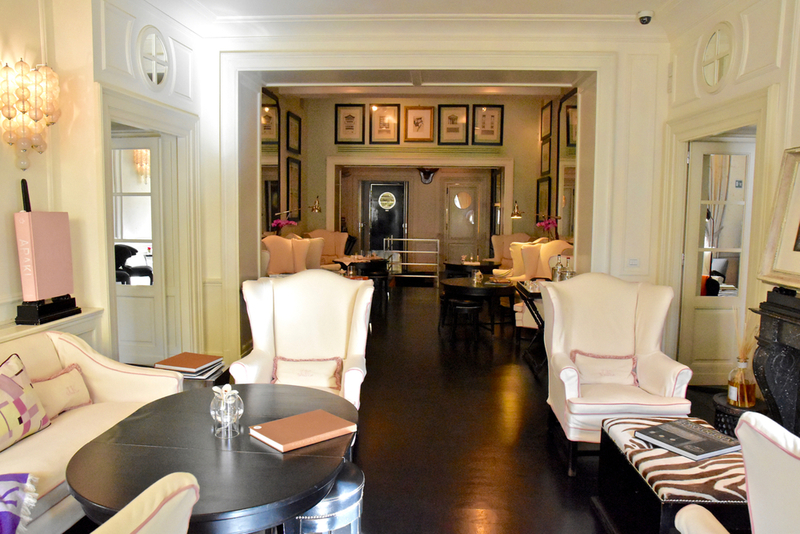 Lounge attracts a broad spectrum of guest and offers flexible dining ranging from quick lunches, afternoon tea all the way through to decadent evening meals. We loved the menu which was carefully curated by maître for our pleasure. To start, the caprese salad was absolutely beautiful. Featured wonderfully creamy buffalo mozzarella from Campania, cherry tomatoes and fresh basil, it was a refreshing start. 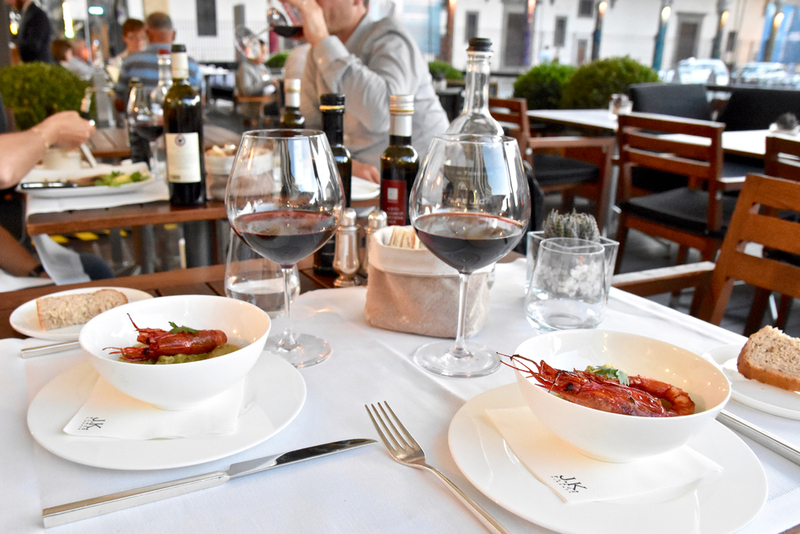 To follow, one of our favourite dishes of the evening was the artisanal bronze Paccheri pasta from Pastificio Fabbri in Strada in Chianti tossed in a luxurious pesto of zucchini, pistachio and seared red prawns that had been perfectly seasoned with caper oil. For mains, the fish of the day was served with mille feuille of seasonal vegetables, fresh parsley salad alongside anchovies, capers and dry tomato which delivered an addictive salinity and umami. To finish, the delightful J.K Tiramisu was the perfect end as the sun set on Piazza Santa Maria Novella. Location: Piazza Santa Maria Novella 7, Florence, 50123, Tuscany, Italy.